This time out, we are reviewing Gold Rush picked up from PSA in Santa Ana. PSA has a wide range of prices, from $60 down to the typical bottom of $35. I settled in at the upper middle class donation of $50. My budtender, always on point at PSA, pulled out a trio of really nice indica strains, and it was no simple matter to pick from among them. Gold Rush stood out only for the size of its buds and the warm sunny day smell. There is little written about this strain, but it most likely comes from Spliff Seeds mixture of their Polm Gold strain and an Afghani Kush. Gold Rush is indeed the perfect name for this strain. From a distance, you might not pick out anything aesthetically special. However, when you bring it up to your eyes, you see the brilliantly glittering amber of the trichromes, along with the topaz brown pistles and bright greenery, making Gold Rush a ruddy, golden yellow nugget. If the look of the buds makes you think of digging through the muddy hills to find your lode, then the scent will as well. Musky earth and fresh cedar mix with a slight pepper tree spice. It’s outdoorsy fragrance translates to an equally foresty taste. If you could capture a walk in the California woods as a flavor, this would be pretty close to it. 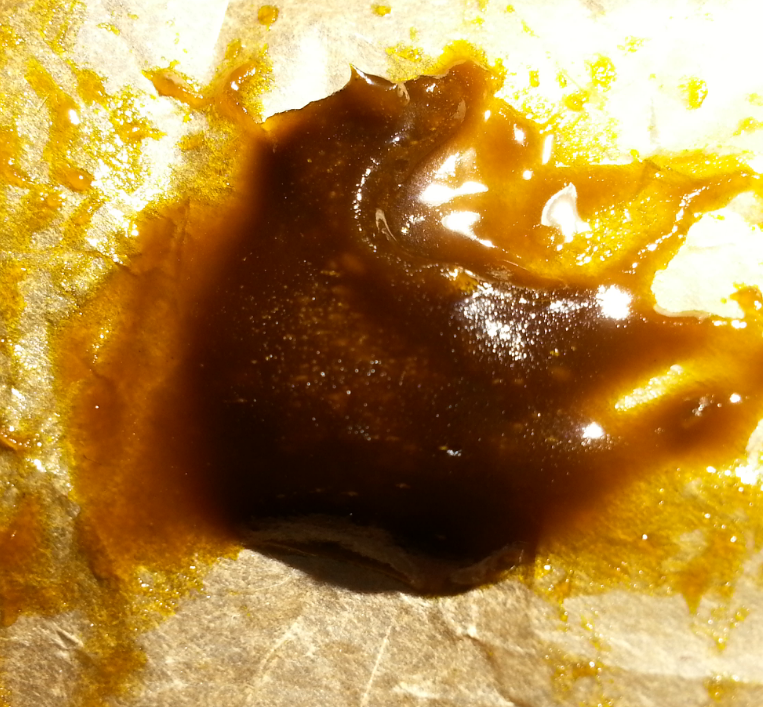 The smoke was very smooth for an indica, and the ash held very little tar. Gold Rush was a delightfully pleasant smoke. As with any indica, Gold Rush works best for body pain, and the high has a relaxing effect in the shoulders and neck. Perfect for migraines and stress headaches. Appetite is induced as well, and it can help significantly in this point. 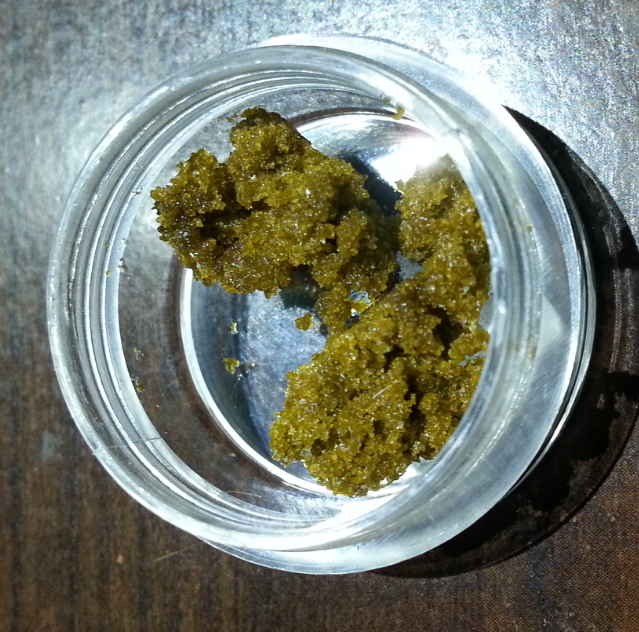 Gold Rush is also very mellow, similar to a sativa like Maui Waui, and this could signal a possible hybrid. Despite this, when used over the length of the day, red eyes and drowsiness will set in, making this a fine sundown high. It will help you to unwind and gain pain relief without putting you straight to sleep, as some indicas can. When it comes to legendary strains, you can’t get much more infamous than either Chemdawg or Jack Herer. One Love in Santa Ana has grabbed a good one with this combination in Chem-Jack, and I literally ran in the door when I got home to get this beauty into my bowl. The citrusy astringent fragrance well known in Chemdawg is all over this hybrid. Underneath this is the sweet earthiness lent by the Jack. As soon as I put the jar to my nose, I could detect the blend of those familiar fragrances and my mouth began salvating. The pale, almost white, green typical of Chem strains and the deep multitude of brown hairs recognized in Jack Herer are a perfect match. These two strains have been seamlessly brought together, playing their best aspects against each other. When I got it home and began breaking it up, it was chunky and sticky. I love sativas, but they can be tricky to work with, and always break up thin. A gram of this strain broken up will barely fill a blunt. The smoke was amazingly light, and the distinction that is its taste lasts well beyond the green hit. I absolutely adore the palate of Chem-Jack. The flavor alone makes this strain a must buy. 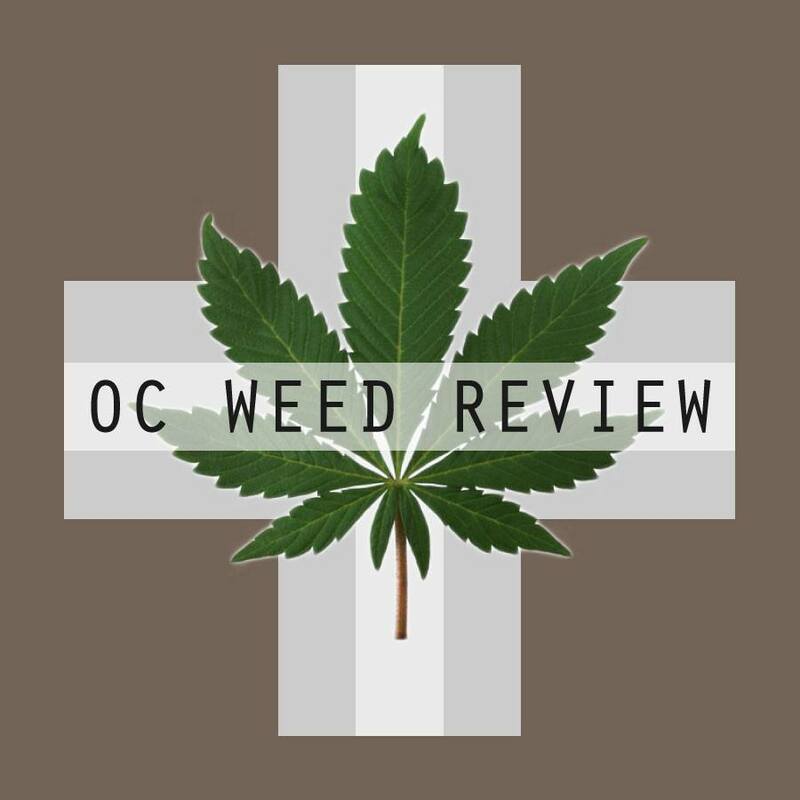 I’ve donated for a number of strains lately here in SoCal that have this unique earthy, piney, and citrusy mixture. This might mark a swing away from a Blue Dream and Skywalker dominated marketplace, and it is a welcome breath of fresh air. The effects of Chem-Jack are instantaneously energetic and productive. Work related tension melts away as this particular strain promotes both complex thinking and a mellow mood: a real whistle while you work strain. Forget hump-day, Chem-Jack will get you through the hopeless drag of Thursday, when your battery is already drained and the week isn’t nearly over. A delightfully uplifting strain, I would recommend Chem-Jack for anyone fighting stress and anxiety or needing something to help carry them along through a protracted day. Emerald Care is one of several dispensaries tucked just below the 55 fwy on Garry Ave. Their low key atmosphere lures me away from their competition time after time. The minimalism of their waiting room and bud room are part of the beauty of this place, since it helps them keep their prices competitive, even for their fine quality medication. I haven’t visited them in a few weeks and made a stop on my way home from work. They keep a rotation of their strains on special for $45/7g. This week it was a bag of the legendary G-13. While most strains brag of their genetics, this mysterious strain is shrouded in story. Marijuana historians speak of a program at the University of Mississippi involving the FBI, CIA, and any number of other government agencies. Here in the late 60’s, hidden away in the university laboratories, scientists collected together the strongest strains of marijuana and crossed them with the goal of created the world’s strongest weed. G-13 is the 13th created hybrid and the strongest of the experiment. A single clone was smuggled out by a researcher, so that it could be shared with the public. Or so one version of the story goes. The truth may never be known. What is also a mystery is the genetics of this storied strain. Believed to be an Afghan hybrid, it is then most likely an indica mix. The nuggets are thumb-sized and a uniform green. There are some fine brown hairs, but visually, the buds are uninteresting. However, they are in good shape, if not a bit woody. Emerald Care uses sealed bags for their products, and although the nuggets were fresh when opened, they quickly dried out. Moving them to glass jar or dropping in a humidifier should take care of this. The aroma is sweet citrus followed with a hint of fuel. This is similar to the Chem-91 and not at all off putting. The green hit is sweet and the follow is smooth. For the price, this batch should not smoke this enjoyably. The high is light for an indica, though it may be the potency. It is mellow and enjoyable. I became a bit muddled, and there was a clear downward pull, as if I was melting. As is typical of Afghani indicas, G-13 is perfect for pain and insomnia. Be careful when medicating with this strain because the come down is drowsy. I often never made it from the chair to the bed before nodding off. It also has severe red eye effects and can be difficult to hide being medicated for the discerning user. For the price point, it is hard to argue against donating for 7g of G-13. While it won’t knock you out or set you faded, it will help you control minor pains and trouble sleeping, as well as stress and related anxiety. If you work a hard job and need something to help you unwind your day, this might be the strain for you.